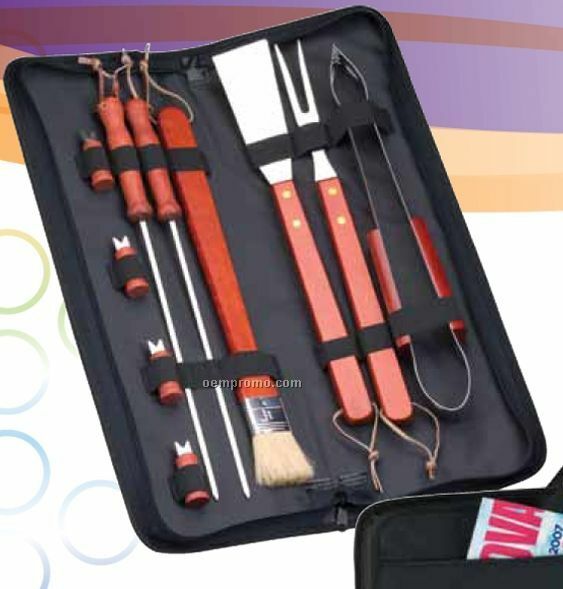 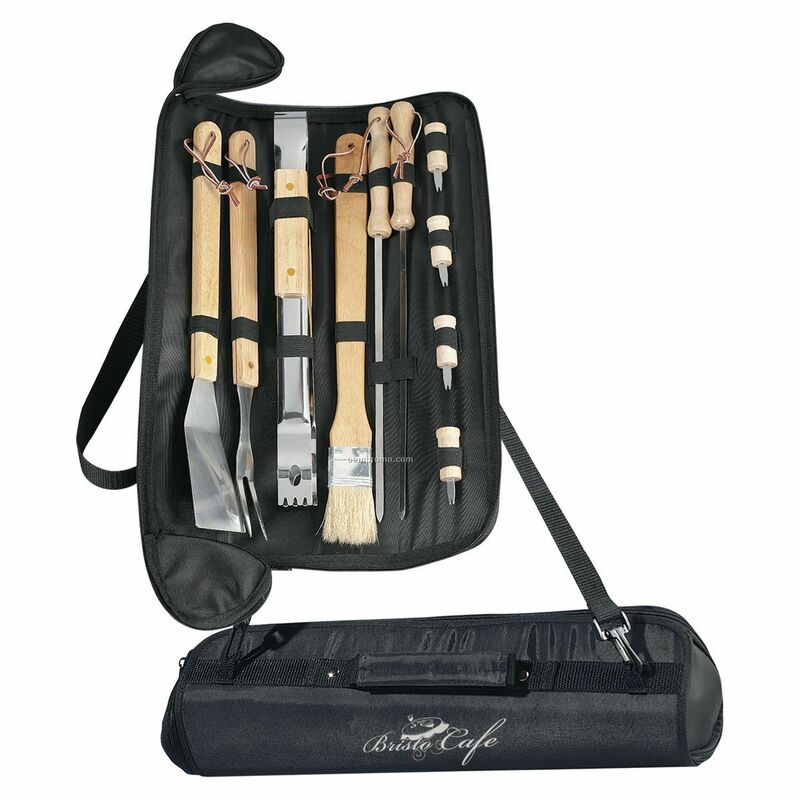 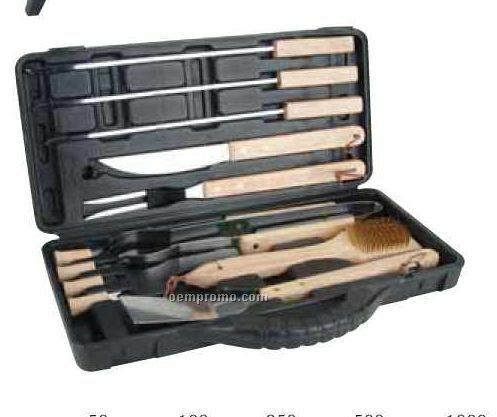 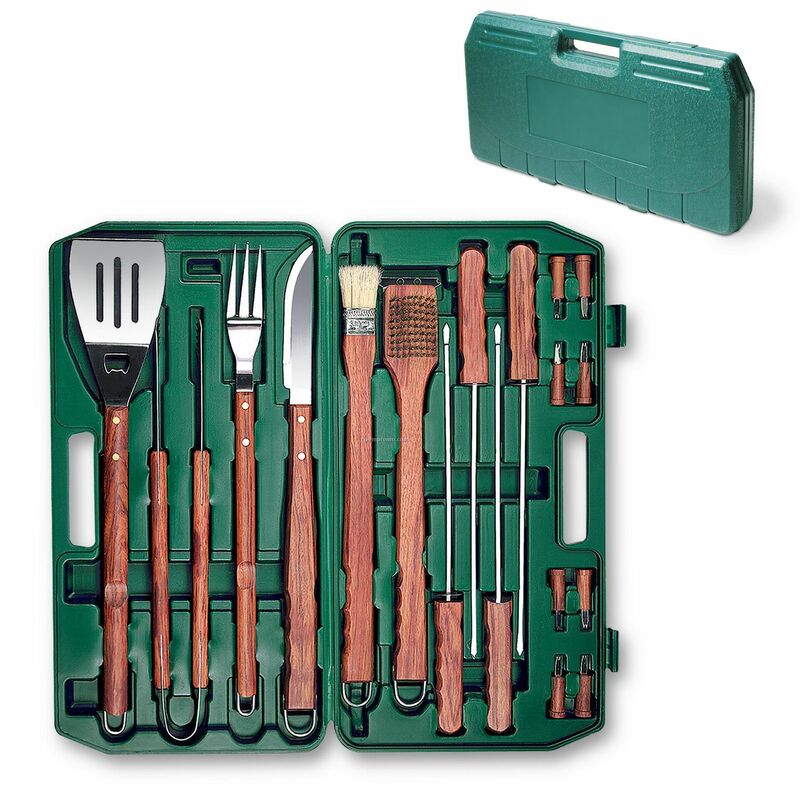 Description: Deluxe barbecue tool set in carrying case. 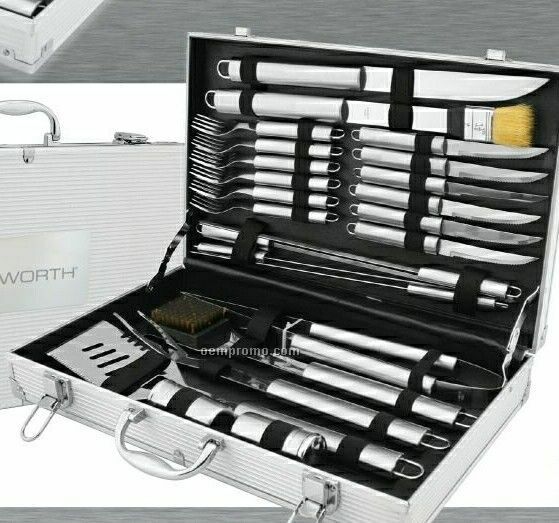 Contains 18 assorted tools. 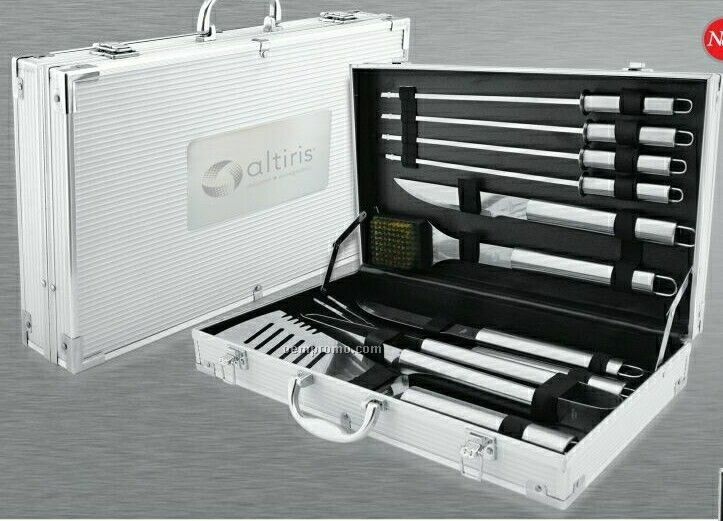 Case made of blow-molded plastic. 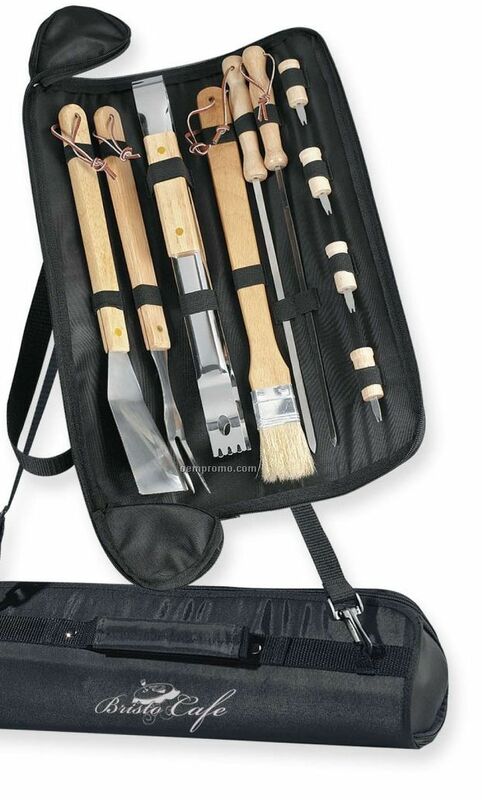 All 18 tools have beautiful wood handles.